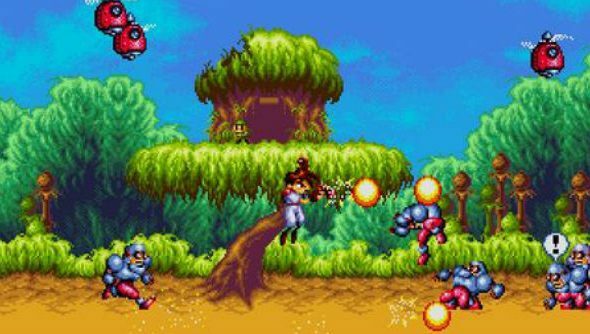 Sega revealed last week they were going to update their Genesis and Mega Drive games to a shiny new hub, providing a virtual game room for you to sit in while you ponder which of the classic Mega Drive games you want to play. The biggest part though, was the promise of Steam Workshop support for those classic games. Retro not really your scene? We’ve got you covered for the best PC games 2016 too. While Sega have said they’re not going to release any official modding tools alongside today’s update, Steam Workshop support means creators and fans have an entirely new way to share and experience classic games, sharing a host of custom Mega Drive & Genesis ROM hacks. It’s still early days, but currently we’re seeing a mix of sprite and character swaps for classic games like Sonic the Hedgehog, Streets of Rage and others. Then there’s this mod to play as Knuckles in Sonic 1 and a series of “chill” editions that provide infinite lives and an easier difficulty. There’s also some weird stuff, like a Hedgehog abuse simulator and a couple of Konami games that’ve been snuck on there and will probably be removed as soon as someone notices Take a look at everything they’ve got in the workshop currently. To celebrate the release, the Genesis & Mega Drive Classics Hub on Steam, Sega has cut the price of all of it’s retro titles, and you can pick up all 59 of them on Steam for £16.32 in the UK. Sorry U.S folk, this doesn’t seem to be available for you. but you can pick up a bundle of them for around $10. In fact, I did just that so I can go and play Revenge of Shinobi again.